FOREIGN EXCHANGE: Any financial instrument that gives one country a claim on the currency of another country and which is used to make payments between countries. The most important type of foreign exchange is currency itself, that is, the currency of other countries. However foreign exchange also includes things like bank checks and "bills of exchange" (a sort of contract that's paid for with the currency of one nation that can be then traded for the currency of another country). AmosWEB is an Internet-based resource of economics information offered by AmosWEB LLC. AmosWEB LLC was established April 1, 2000 to publish economics information and instructional resources through the World Wide Web. At AmosWEB, we take economics seriously, but with a touch of whimsy. We recognize the importance of economics to our lives, careers, and citizenship, but we try to have a little fun with it along the way. On the one had... serious. On the other hand... whimsical. A balance much like that of demand and supply. AmosWEB began its Internet existence under the name AmosWORLD. (You might see AmosWEB listed as AmosWORLD in some search engines. AmosWorld.com is currently maintained by a talented artist named Amos Kmiec.) We have been providing economics information through the World Wide Web since the earliest days of the World Wide Web, when memory was measured in kilobytes, disks were floppy, and PPP was the primary way to get online. Over the years, we've provided economics information to students, instructors, and web surfers on six continents (we're still working on Antarctic). We have consistently ranked in the top 10 percent of all websites on the Internet (according to Rank.com). Our most popular resource is the AmosWEB GLOSS*arama, an extensive glossary of economics terms and concepts. We also offer the increasingly popular AmosWEB Encyclonomic WEB*pedia, and encyclopedia of economics. We're also very proud of the AmosWEB eTutor, a subscription service used by all sorts of students seeking a little extra help with their course work and the AmosWEB Programmed Learning System (A*PLS), an integrated online learning system designed for traditional classes, hybrid courses, and online distance learning. 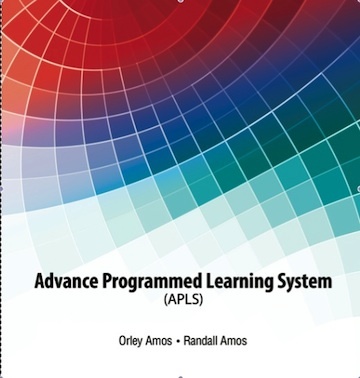 The principle author and content developer of AmosWEB is Orley M. Amos, PhD, a Professor of Economics at Oklahoma State University with a couple of decades of instructional experience. Assistance has been provided over the years by Antonio Avalos, PhD, an Assistant Professor of Economics at California State University, Fresno. AmosWEB LLC is presently based in Stillwater, Oklahoma with a branch office in Wichita, Kansas. Written correspondence concerning can be directed to AmosWEB, 1411 North Grandview Court, Stillwater, Oklahoma, 74075-6903. Email correspondence can be sent to AmosWEB WebMaster. Total fixed cost per unit of output, found by dividing total fixed cost by the quantity of output. When compared with price (per unit revenue), average fixed cost (AFC) indicates whether or not a profit-maximizing firm should shutdown production in the short run. Average fixed cost is one of three average cost concepts important to short-run production analysis. The other two are average total cost and average variable cost. A related concept is marginal cost.